I had always admired the utility of mason jar sippy cups since I have toddlers at home. However, their price inhibited me from having one of my own. 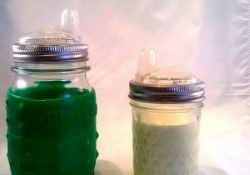 That was until I came across a tutorial on The Glass Baby Bottle, which showed me that making one would not be much of a trouble. My creations have become one of the greatest possessions of my kids and whenever it comes to drinking, they just can’t do without these. I was in charge of my cousin sister’s bridal shower that was held a few months ago at our ancestral home in Alabama. 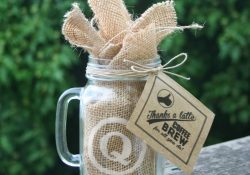 Since my sister is an ardent coffee fan, I decided to make that a theme for the bridal shower favors. After browsing through a lot of websites for ideas, a tutorial on something turquoise caught my attention. After a hard day at work, walking into a home filled with magical aroma takes away all the tiredness and infuses a new energy. The dozens of air fresheners at the stores may represent a dizzying variety but you should be aware of their high chemical content. 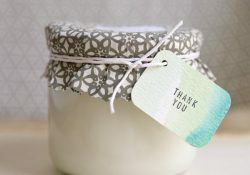 After coming across an idea shared on ThriftyFun, my love for mason jars grew manifold and I started with my line of scented air fresheners. Burlap mason jars are the epitome of charm in interior décor. Their rustic appeal can transform the ambiance of any celebration in a unique style. Though the skills required are minimal, the attractive piece is undoubtedly a feather in your cap. As a creative escape from the drudgery of my 9 to 5 job, I enrolled in glass etching classes last year. The classes involved lots of glass engraving activities, and though I had to go through the initial learning hiccups, I nailed it at the end. 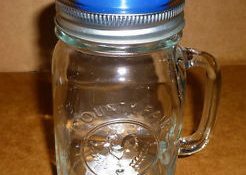 Taking a cue from Sometimes Homemade, my first glass etching project at home was with mason jars. 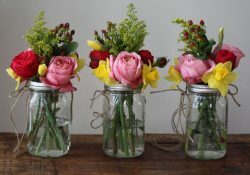 According to me, mason jars are the best picks for a rustic-themed wedding décor. Centerpieces, flower vases, or string lights, the options are endless. At a recent marriage ceremony of a close friend, I got a chance to showcase my creative skills turning a bunch of mini mason jars into delightful favors. 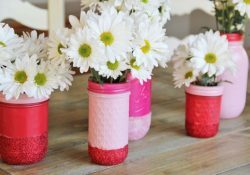 A pair of colorful vases made from mason jars that I spotted at my best pal’s baby shower celebrations took my breath away. 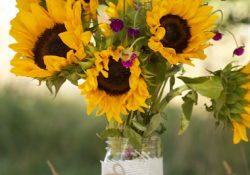 On returning home, I wasted no further time in checking out a few designs on the web, and a tutorial on momtastic helped me make my first mason jar vase which I flaunted with pride at a house party. 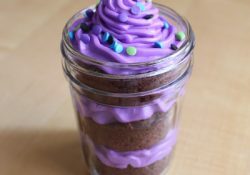 Having experimented a whole lot of DIYs with my upcycled mason jars, I still keep craving for more. 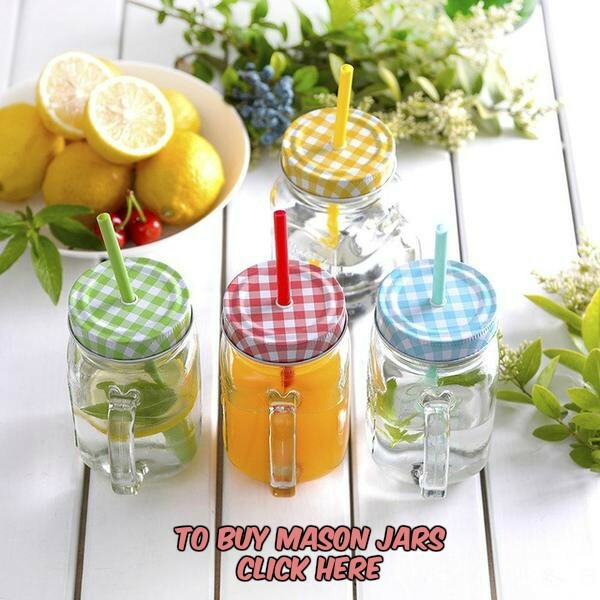 I always had a special fascination for mason jar glasses with handles and was utterly elated when I got four of them as Christmas gifts. Couldn’t wait long to try something innovative on them, plus add faux handles to a couple of spare glasses lying in my kitchen. Let me share with you all that I had planned to do. 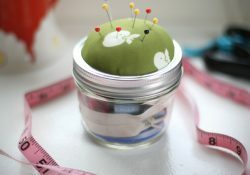 A pin cushion comes handy to most sewing enthusiasts as digging out the tiny needles and pins from a drawer or box can be irksome. Not only does it provide an accessible spot for the sewing essentials, but you can also keep and carry it anywhere. 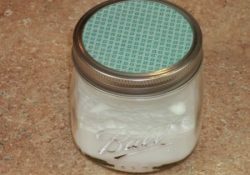 Few days back I came across a tutorial on Momtastic that showed a simple way to make a no-sew pin cushion with mason jar. Here is my version.